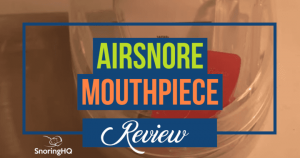 AirSnore has one of the best return policies for anti-snoring device manufacturers. They offer a 60-day guarantee, which is more than enough time to test the device and see if it works for you. They also provide an extra week for shipping time, so the final return date (day return must be received) is 67 days from original order date. 1) Contact support@airsnore.com or call the international phone number. 2) Receive instructions how to label and send back your return products. 3) Refund is toward product price only, not shipping charges. Since AirSnore is located in the U.K. the return postage shipping is more expensive. The cost to ship from California to the UK for the AirSnore with USPS First Class (not Priority Mail) is about $11 to $15. The return shipment can take up to 30 days to arrive with USPS. There is a live option on their site to get live custom service by chat. A phone number is available (international call) to get help on returning the AirSnore.